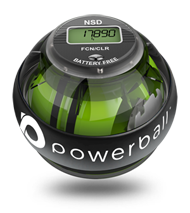 Powerball® is a finely engineered, high-precision gyroscope consisting of a rapidly spinning rotor enclosed in a solid [hand held] outer sphere. The best products don't require a lot of fuss, they just work. Wind back the precisely balanced zinc rotor; release and begin turning your wrist in slow, gentle circles. 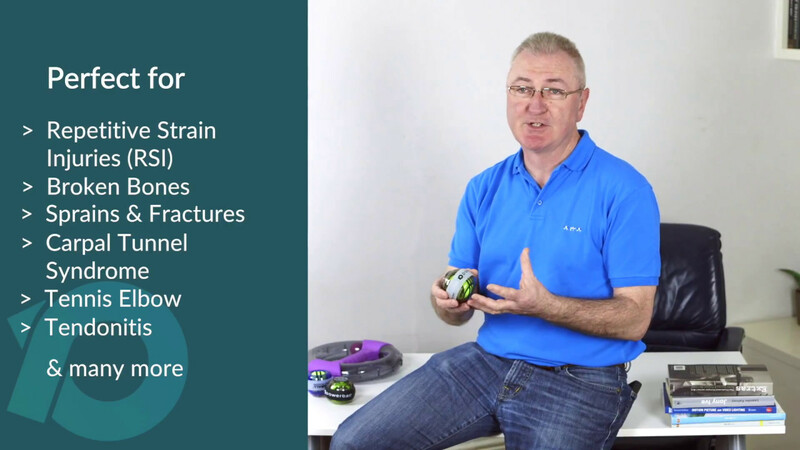 Speed builds rapidly inside the sphere, producing a powerful resistance which is just as effective for non-impact rehabilitation as it is isometric strengthening of the arm, all the way from fingertip to shoulder. 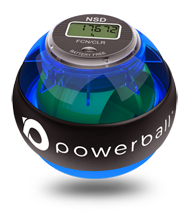 Regular exercise with Powerball® can help maintain muscle tone and health from finger to shoulder, thanks to its rhythmic movement and non-impact nature. When your muscles respond to the demands placed upon them from exercising with Powerball®, blood flow increases and joint health is promoted by stimulating the production of synovial fluid (the fluid that lubricates and nourishes joints). 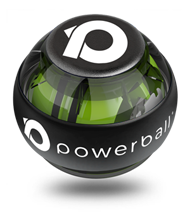 The gripping action required to hold Powerball® activates the finger flexor muscles and the wrist extensor muscles. Activating the wrist extensors prevents wrist flexion, thereby enhancing grip strength. With the wrist extensors activated by the gripping action, the rotatory movements necessary to maintain the gyroscopic movement of Powerball® exert forces on a wide range of muscles. 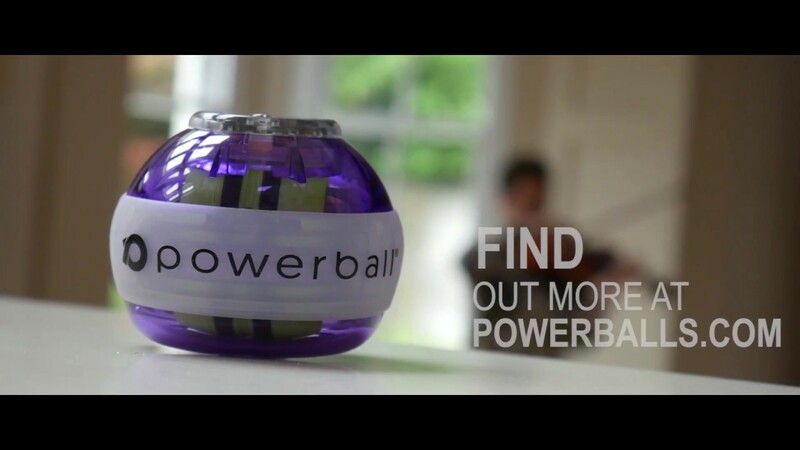 Our Powerball products efficiently rehabilitate from fingertip to shoulder. 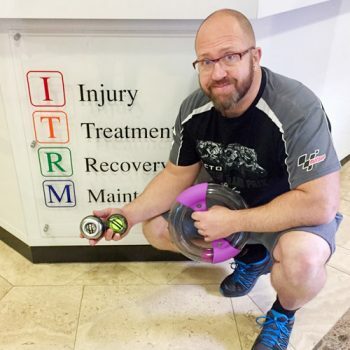 With 100% non-impact isometric exercise our products will allow you to strengthen even when you are in recovery. 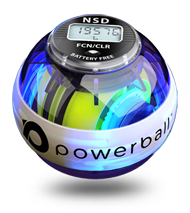 So whether you are rehabilitating from a broken bone, repetitive strain injury (RSI) or need to strengthen after an injury you will be back full strength faster with Powerball. Build powerful wrists and grip. 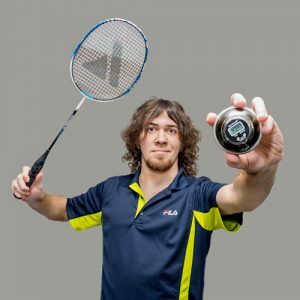 For the 1001 sports that rely on strong wrists and grip strength, there is nothing on the planet that builds it faster – Powerball helps develop muscle power and endurance quickly and efficiently, allowing you hit harder, cycle further and climb higher. 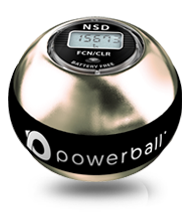 Powerball is the pocket gym that will compliment any training regime. Our lifestyle choices today promote RSI injuries in the arms and wrists more than ever before. 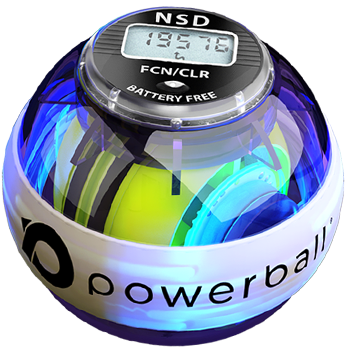 Gently spinning Powerball for 2-3 minutes during the day stimulates blood circulation, warms and loosens out tight muscle and reduces tendon inflammation, helping keep fingers, hands, wrists and arms pain-free and mobile. Our physiotherapists like to use Powerball to strengthen the entire arm but in particular the forearm muscles. 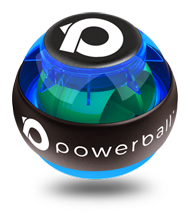 Powerball is really effective in the case of lateral epicondylitis (tennis elbow) or golfer’s elbow (medial epicondylitis) or any weakness of the upper limb. It is really good for endurance (stamina) too. We treat a lot of golfers and it is really good to improve the grip strength. Perfect for all racket sports. Add more power to your shot. 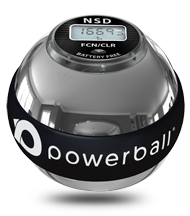 Powerball is an excellent strength training device for all racquet sports, allowing you to get a little more power into your shots. As a physics teacher, I also find it to be a great teaching tool as I talk to my students about centripetal force and rotational inertia! 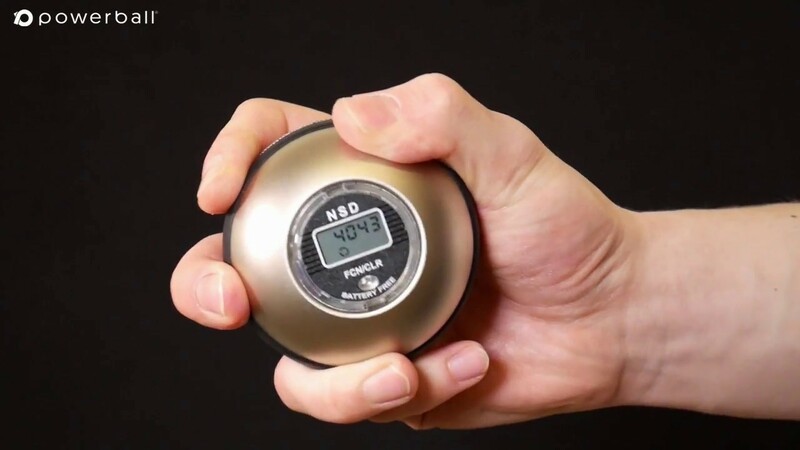 Handheld centrifugal exerciser. Proven ability to quickly and easily build powerful arm, shoulder and upper body strength.